Participant must be registered with the National Futures Association (NFA) as a Commodity Trading Advisor ("CTA") or equivalent status. Equivalent status includes a CTA registered under Rule 4.7 Exemption; Entity with Foreign exemption; Entity exempt from registration under CFTC Rule 4.14. CTA must maintain their registration for the duration of the challenge. Participants must clear trades with one of the following Futures Commission Merchants ("FCM"): RJ O'Brien Associates LLC (RJO), Rosenthal Collins Group LLC (RCG), SG Americas Securities, LLC (SGAS), ADM Investor Services Inc (ADM), INTL FCStone Financial Inc (FCStone) or any other approved FCMs that provides complete reporting directly to Coquest, Inc.
CTA/Account must remain in good standing with clearing FCM and NFA at all times during the 12 month duration of the CTA Challenge 2019. Minimum account trading level accepted is $100,000 (USD). Trading level equals cash funding plus notional funding. Rates of Return for trading program included must fall in line with manager's reported composite track record. Slight variance due to transactions charges is acceptable. 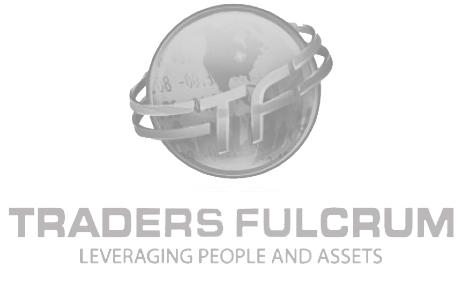 Programs utilizing foreign exchange OTC trading are prohibited. For managers/programs that hold no positions overnight, position-based risk statistics may be excluded from the ranking; however, estimates and/or return-based equivalents may be utilized. These rules and conditions are intended to ensure that all Participants are provided the same opportunity for success. In that regard, Coquest, Inc. reserves the right to amend, waive, or interpret any rule if it is determined that to do so would be in the best interests of the CTA Challenge 2019. The following actions will result in a CTA program being disqualified from participating in the CTA Challenge 2019. Style Drift - A trading program that trades outside of the parameters detailed on Participant's registration form (qualitative questionnaire) or disclosure document. Margin-to-Trading Level ratio must not exceed 40%. Trading level equals cash funding plus notional funding which will be calculated nightly and reviewed by Coquest, Inc.
Trading programs utilizing Options Premium selling of more than 50% of the trading strategy will be disqualified. Original entry will be reviewed at time of registration for initial approval. Naked selling of options is prohibited. A Participant may voluntarily withdraw from the CTA Challenge 2019 at any time. The Participant further agrees that Coquest, Inc. has the right to remove or bar any Participant from the CTA Challenge 2019 if it is determined that the Participant has violated any rule, law, or regulation pertaining to trading in the futures markets. Note: All Participants must represent that they are not current employees of Coquest, Inc. or any of its affiliates; or any member of their household. Any such relationship will result in immediate disqualification. Sponsors and Partners of the CTA Challenge 2019 will support ongoing operations by providing resources (technical, advisory, financial, staffing) needed over the term of the promotion. Both Partners and Sponsors receive public recognition for their support of the CTA Challenge 2019 via the display of their logo and/or company name at specific CTA Challenge 2019 web sites, events or milestones, and awards ceremony. The CTA Challenge 2019 will begin on January 2, 2019. The trading period will end as of the close of business on December 31, 2019. The winner(s) of the CTA Challenge 2019 will be announced in early 2020. CTA Participants will be ranked on a regular interval based on the aggregation of scores received across six quantitative return-, and position-based metrics which are Daily Rate of Return vs. Daily Volatility, Daily Downside Volatility, Maximum Daily Drawdown, Daily Margin to Equity, Daily Value at Risk, and Daily Conditional Value at Risk. Rankings will be published at least monthly, but Coquest, Inc. may increase the frequency at its discretion. Only the top 10 ranked Participants will be displayed in the leader board based on Month to Date and Year to Date rankings. At the close of the trading period, the top 5 ranked CTA finalists will then be evaluated on qualitative measures for strategy and risk management. The winner will be selected from these top 5 Participants and determined by the results of the qualitative assessment. Judging and selection will be conducted by the Investment Committee of Coquest, Inc.
Composites will be tracked in the Coquest, Inc. Analytics system and associated databases. For managers/programs that hold no positions overnight, position-based risk statistics will be excluded from the ranking. Returns-based equivalents may be utilized. Winner(s) of the CTA Challenge 2019 will be notified at the end of January 2020. After the notification, Coquest, Inc. will announce the winner(s) via a shared press release as well as in a full page advertisement in a major industry publication. Registered Participants may make reference to publicized standings for promotional purposes as applicable by law. Participant shall not use the trademarks, logos, and company name of any Sponsor or Partner of the CTA Challenge 2019 unless authorized to do so, in writing, by the Sponsor or Partner. If found to be in violation, the Participant may be disqualified and held liable for any legal fees and damages incurred by the Sponsor or Partner to enforce this provision. Registered Participants agree to indemnify and hold harmless Coquest, Inc. and its affiliates, sponsors and partners against any errors, losses, damages, or costs that may occur as a direct result of misrepresentation or breach of any provision caused by systems or services which Coquest, Inc. and its affiliates do not directly manage or control. This includes, but is not limited to, data feeds, third party reporting and/or analytics services. Neither Coquest, Inc. nor its affiliates or the Partners and Sponsors of the CTA Challenge 2019 shall be responsible for any delays in the transmission of data due to the breakdown of any computer or data transmission facilities, or for any other cause beyond their reasonable control. In the event CTA Challenge 2019 related events are postponed or canceled for any reason, every effort will be made to notify those who have pre-registered. The cancellation of events will be publicized as quickly as possible and if an event is to be rescheduled, all registrants will be notified of the new date. Get regular updates on current leaders and other Challenge news.